So the Big G has really been sprinkling my lane with luck dust. Last Friday I had the joy of attending a Nedbank and SAA Voyager sit down dinner in celebration of the launch of the SAA Voyager credit card at The Venue in Melrose Arch, Johannesburg. MC Bonang Matheba took us around the world in a couple hours informing us of the very many benefits of the credit card. Now this was not just an evening filled with information. No. (With a dress code titled 'fashionably loud', how could it be?). 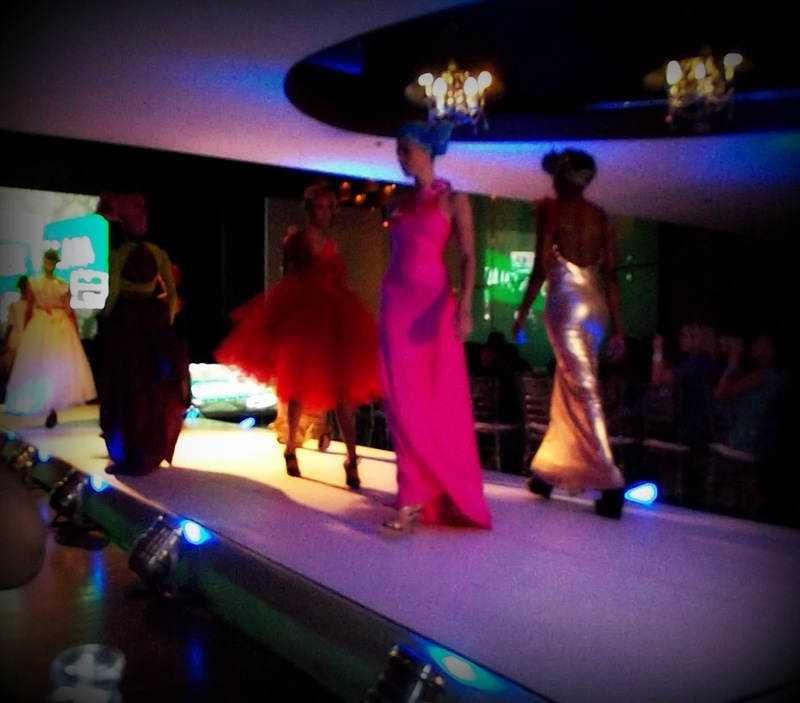 This was an evening filled with a) a fashion show that showcased the black-and-green story that was Gert-Johan Coetzee's collection at the recent SA Fashion Week, and Sylvester Falata's latest collection; b) gourmet food that was just delectable; c) music performances and appearances by recent South African Idols winner Khaya Mthethwa, and a dance set by Step Up dance reality show winners and all-around pioneers of effervescence, V.I.N.T.A.G.E Crew; and lest I forget, d) copious amounts of Moët darling.